The Fed’s threat of a springtime rate increase didn’t come to pass, which fueled the jumbo-mortgage market in the first half of 2015. Widespread predictions of an interest-rate increase in the first half of 2015 never came to pass. So the jumbo market has kept its mojo. 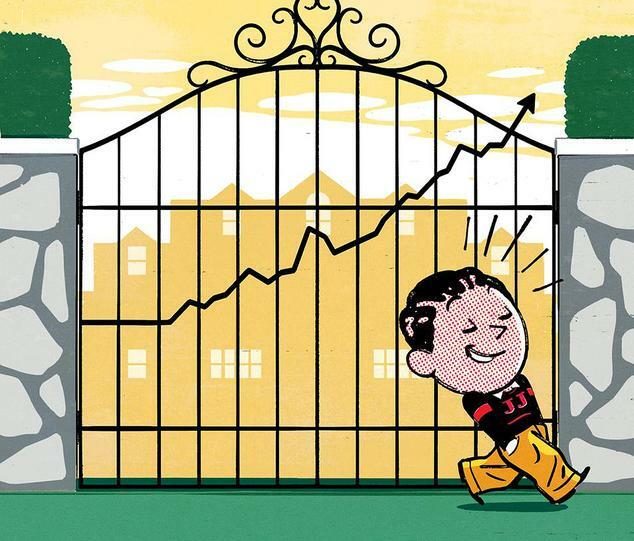 The volume of jumbo mortgages—those above $417,000 in most places and $625,500 in some high-price areas—reached an estimated $160 billion in the first six months of 2015, up about 36% from a year ago at the same time, says Guy Cecala, publisher of Inside Mortgage Finance, which covers the industry. Low interest rates triggered a refinance flurry in the first few months of 2015. And early reports on the second quarter show that a spirited spring home-buying season sustained the growth, Mr. Cecala says. Jumbo mortgages accounted for about 20% of all mortgage originations, indicating a comeback to prerecession levels, he adds. Big loans have been performing well all year, including financing for luxury vacation homes, says Bill Banfield, vice president of Quicken Loans. Demand varies by region, “but the coastal markets are appreciating at a larger clip,” he adds. “The last six months have been great for jumbos,” says John Walsh, president of Milford, Conn.-based Total Mortgage Services, which lends in 34 states. Borrowers also benefited from loosened credit guidelines by some new players seeking to add jumbos to their portfolios, he adds. Total Mortgage’s hottest jumbo markets for home purchases include the Carolinas, California, Connecticut and Florida, he adds. Existing home sales in May reached 5.35 million, up 9.2% from a year ago and at their highest since peaking in November 2009 (5.44 million), according to the National Association of Realtors (NAR). The median sale price for existing single-family residences in May was $228,700, 7.9% more than May 2014. Financed transactions accounted for a larger share of inventory, with all-cash sales down to 24% in March, April and May versus 32% in the same period a year ago. While average interest rates for jumbo mortgages did not dip below those for conforming loans like they did in some weeks in 2014, they stayed historically low and did not fluctuate more than about 30 basis points, or about a quarter of a percentage point, says Keith Gumbinger, vice president of HSH.com, a website that tracks rates. Over the first six months, the lowest average rate for a 30-year-fixed rate jumbo mortgage was 3.82% in April, and the highest was 4.15% for the week ending June 26, according to HSH.com. Five-year, adjustable-rate jumbo mortgages started the year with an average rate of 3.11%, dipped to 2.83% in April, and were 3.03% on June 26. Low rates sparked an uptick in refinancing. “There was definitely a spike in refinancing quarter one, and then [refinances] flattened out a bit,” says Jason van den Brand, co-founder and CEO of San Francisco-based Lenda, an online-only lender that currently specializes in refinances. Looking ahead, interest rates are predicted to creep upward, especially if the Federal Reserve finally raises its interest rate benchmark in September—a move it has been warning to do for over a year, Mr. Gumbinger says. However, an initial increase would likely be just a quarter percentage point, he adds, though the Fed could make two such raises in 2015 if U.S. economic conditions continue to improve. Lenders don’t directly use the Fed’s rates in determining jumbo rates, but their rates tend to mirror Fed movement and even may take the lead, Mr. Gumbinger says. “If the Fed decided to move, the market will already have made a move,” he adds. Jumbo volume should stay healthy because a rate increase wouldn’t mean much to high-end borrowers with significant assets and cash reserves, Mr. Cecala says. For best rate, don’t wait. If interest rate is a big concern, refinance or purchase sooner rather than later. Also keep in mind, that a Fed move will affect ARMs and home-equity loans in their variable stages more directly, Mr. Gumbinger says. Shop around. Some lenders will offer more aggressive rates to borrowers with a strong credit profile, Mr. Walsh says. On the other hand, a few regional banks are tightening credit guidelines as they fill their capacity to keep jumbo mortgages in portfolio, he adds.